My choice for dinner tonight was this Fresh Herb Crusted Rack of Lamb from my fantastic cookbook, Around the Greek Table. I had people over for dinner when I last made this. All of my guests loved it and one of them actually described it as EPIC. Yes, EPIC – they used that word! You must try this. I prefer Quebec lamb myself but alas, they only had New Zealand lamb at the grocery store so I had to make due. I prefer Quebec lamb over New Zealand lamb because firstly you should always buy local for various reasons but it’s also a flavor preference too. New Zealand lamb has strong “lamby” flavor. Forgive me, I wish I could provide a better description of what I mean. Quebec lamb is more delicate in flavor. We’re famous for our lamb so why would you buy something that comes from so very far away? I heard that the more pungent flavor of New Zealand lamb is due to the way they raise them. They raise the lamb to shave its wool a couple of times before slaughtering it, so its a little older than Quebec lamb…Uhhh, I suddenly feel sorry for those little lambs…but not enough to become a vegetarian! I’ll get over it. 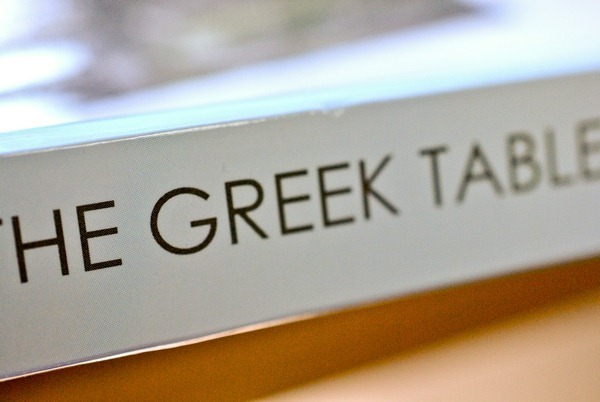 I really love that this cookbook gives you the Greek pronunciation of each recipe! Preheat oven to 450F (230C)Trim away the any excess fat from the lab racks. Brush the lamb with olive oil and season generously with salt and pepper. Heat a heavy oven-proof frying pan over high heat. Sear both sides of the lamb , about 2 min per side. Once cool enough to handle, generously cover the meaty side of the lamb with the fresh herbs. 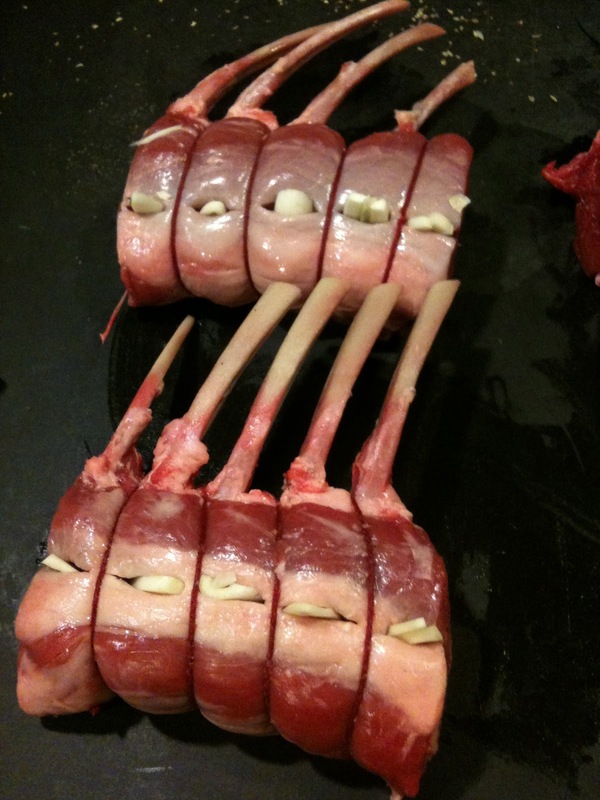 Place the lamb back into the oven-proof pan and place in the middle of your preheated oven. As you can see, I chose a pan, in-which they didn’t fit that comfortably, but it still worked! Cook for 15 minutes for medium or 18 minutes for well-done.Remove the lamb from the pan and tent with foil. Because it is so simply prepared with herbs and garlic, the taste is so fresh. I adore this recipe. Serve with Tsatziki if desired, for dipping. I sometimes just squeeze on a little fresh lemon juice. Next Post Best Pizza Dough Ever! The next time I make this recipe, I will take a better picture! These just don’t do it any justice.